Harrowing aerates the soils whilst limiting the growth of weeds. This surface cultivation avoids compacting the soil and breaking up its natural structure. Superficial ploughing encourages the young vines to send their roots deeper, thus becoming more resistant to climatic extremes and making their food chain more complex. The techniques used respect the soil and their natural balance. 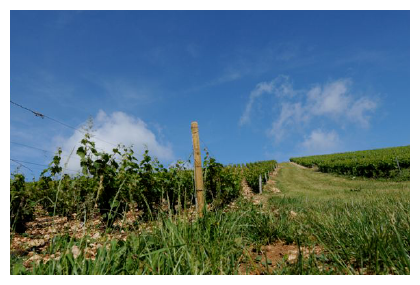 This benefit is duly transmitted to the vines and the grapes, ensuring that the raw material for Serge Mathieu’s Champagnes is both healthy and ripe.